High up in the Andes is landlocked Bolivia, the Tibet of the Americas. Explore the cultural wealth of the country, as it has the highest concentration of indigenous people, who to this day maintain their traditional ways and beliefs. 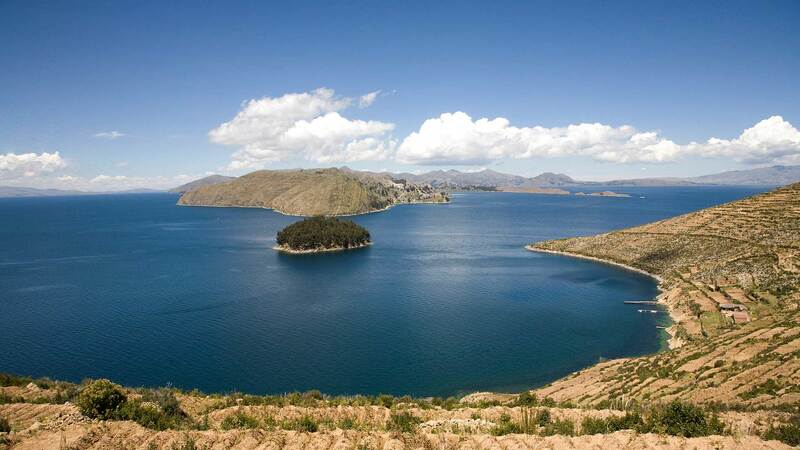 Lake Titicaca is the highest navigable lake in the world (3,800 meters, 12,507 feet) and has been one of the main focuses of human settlement in South America since prehistoric times. The remains found at Tiahuanaco near the southeastern end of the lake attest to the previous existence of one of the oldest civilizations known in the Americas, preceding that of the Aymara and Inca. Bolivia also features a host of different landscapes: The central valleys, where crops such as corn were produced for thousands of years, the jungles of the Amazon in the northern and eastern regions of the country and the Chaco area, with its dry savannah forests.